The Bradford Board Of Trade and Holland Marsh Growers Association proudly hosted our Meet The Candidates event. 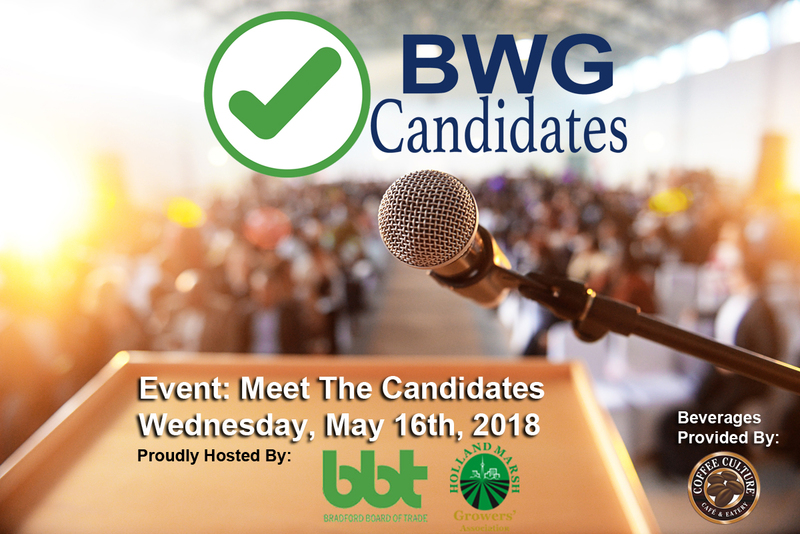 The BWG community came out for an evening to meet their candidates in the upcoming provincial election for the riding of York-Simcoe. They discussed their platforms, gave their responses to publicly submitted questions. We encourage everyone to make an educated, informed choice on election day: Thursday, June 7th, 2018. Doors opened at 6pm, event began at 7pm.